Not too long ago, users were pretty peeved about the company's decision to ditch their Unlimited membership option. 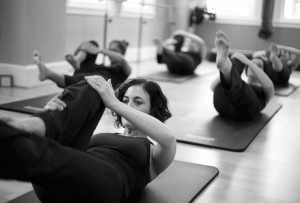 By Adjua Fisher·	 4/5/2017, 1:33 p.m.
Back in November, ClassPass ticked off many a workout junkie by getting rid of their Unlimited membership option, trading that in for three, five and 10-class monthly membership options. If you were one of the angry ClassPass users venting your frustrations and throwing around the C-word (that would be cancel) on Facebook, do note: ClassPass has just added a perk with a lot of potential to their offerings. 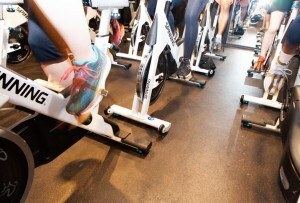 And it could even make you a ClassPass believer again. Here goes: ClassPass has announced the launch of on-demand video workouts. Now, all ClassPass members have access to a growing library of over 100 workout videos ranging in the length, available to stream on the website or the app, and eventually other devices. Now, you might be thinking: Um, isn’t this what YouTube is for? And you wouldn’t be wrong. We have been known to find plenty of great (and free) workout videos on YouTube — but doing so is no easy feat. First off, it requires searching around a whole lot. Plus, in the name of journalism, we’ve suffered through plenty of bad YouTube workouts to weed out the good ones. 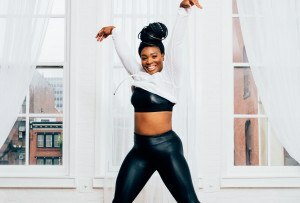 The potential in ClassPass’s new Video on Demand offering — as opposed to a free streaming service like YouTube — comes with their already solidified partnerships with reputable boutique studios people are dying to get into. As ClassPass said in a statement, “ClassPass is uniquely positioned to innovate within the video fitness space due to its partnerships with over 8,500 boutique studios … “ Having these business partnerships with studios means they could potentially become a place to find tons of dependable video workouts from boutique studios across the country in one place, endless-YouTube-search-free. They’ve started with a pretty impressive lineup, featuring mostly NYC and Los Angeles-based studios (including NYC favorite the Nalini Method — ooooh). And when you consider the videos are just a free perk to your actual membership, it’s pretty sweet. Now, we’ll have to wait and see who they team up with in the future to create content before tooting their horn too much — but still, there’s a lot of potential there. In a statement, the company suggests Video on Demand is just the start of a slew of digital products they’ll be offering. And just today, they announced that they’ve made it possible for users to visit their favorite studios as many times as they want per month (visits to one studio used to be capped). So there: Two steps toward making it back into your disgruntled heart.